A proximity detector is an electronic gadget that detects when an object is nearby. It can be made by combining an infrared light-emitting diode (IR LED) and a photodiode. One way to build a proximity detector is to mount the IR LED and the IR photodiode next to each other facing the same direction. When an object comes near the IR LED, some infrared light will bounce off the object and be detected by the phototransistor. 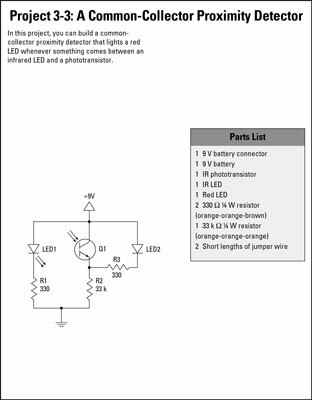 A common-collector circuit is a circuit in which the collector is the common point between the phototransistor circuit and the LED output circuit. 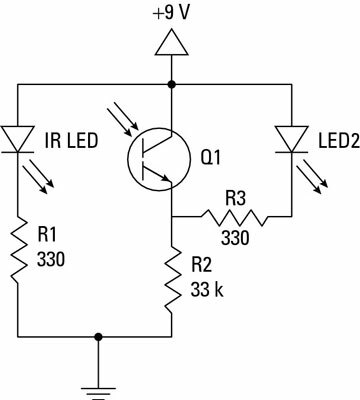 When wired in this way, the LED is dark whenever the path between the IR LED and the phototransistor is clear. When something blocks the path and the phototransistor stops detecting IR light, the red LED comes on. 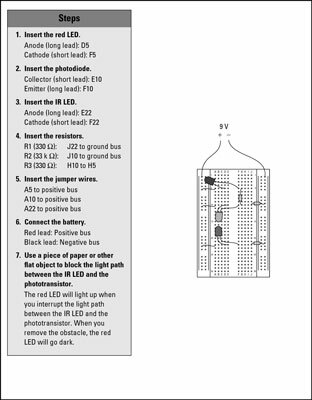 When you connect this circuit to power, the red LED stays dark. 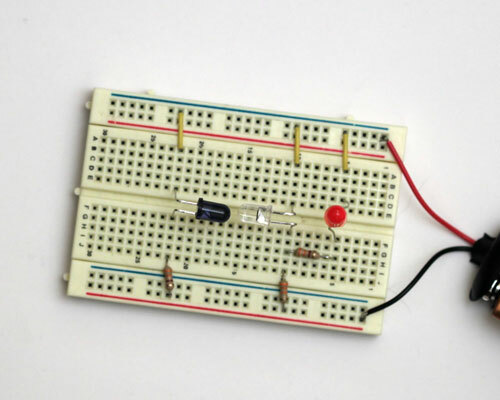 But if you pass an object between the IR LED and the phototransistor, the red LED turns on.